Cool sea creatures | Motorized Kayak Adventure's Blog! 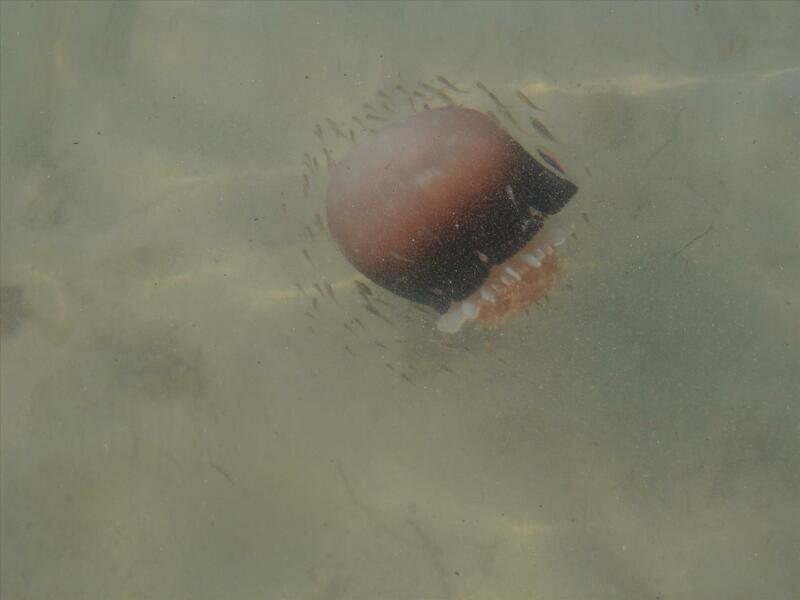 Commonly referred to as cannonball jellyfish, we see these on our kayak tours from time to time. One of the main predators of cannonball jellyfish is the endangered species leatherback sea turtle. When leatherbacks migrate north from the Caribbean from April to early summer they feed on the cannonballs. Cannonballs are a main source of food for the leatherbacks, so conservation of cannonball jellyfish is important to the survival of the leatherbacks.